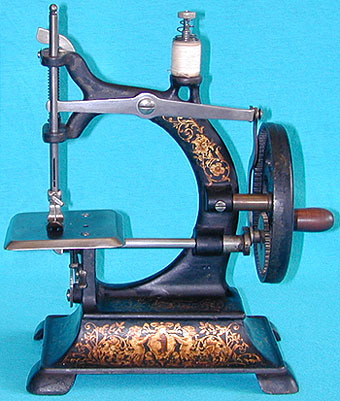 Toy sewing machine - Muller No.8. Measuring 11 inches high, the Muller No.8 was another substantial offering from this Company. The base decoration depicts two children holding a shield illustrated with the "Bear of Berlin".